BRUSSELS, Belgium -- Ukraine hopes that its summit with the EU next week will be remembered as the beginning of a process of visa liberalisation for Ukrainians. 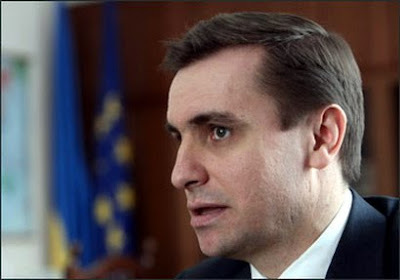 Kostiantyn Yelisieiev, Ukraine's ambassador to the EU. Kostiantyn Yelisieiev, Ukraine's ambassador to the EU, told European Voice that Kiev is looking for “an encouraging message to the Ukrainian citizens to demonstrate that painful reforms that the country has to implement will one day be repaid through, among other things, abolishing of short-term stay visas”. The EU will present President Viktor Yanukovych with a list of conditions that Ukraine must meet before visas can be lifted, but the meeting, which will be held in Brussels on Monday (22 November), is unlikely to match Yelisieiev's hopes. There are deep divisions between the EU's member states about whether Ukraine's 46 million citizens should be able to travel to the EU without visas. Poland heads a group that believes they should be. That position is opposed chiefly by France and Germany. Diplomats say that such differences are muted by the belief that it will be years before Ukraine meets the preconditions for visa-free travel. Attitudes towards Ukraine's aspirations are also being shaped by concerns that it has been backsliding on democracy since Yanukovych took power in February. Local and regional elections in October confirmed the view of many in Brussels and EU national capitals that the political climate has worsened. The discussions with Yanukovych, who chose Brussels for his first visit after his inauguration, will include a review of progress in talks on an association agreement, which have been held up by complex negotiations about its sweeping free-trade provisions. Observers believe it is unlikely that the agreement can be concluded before the spring. The two sides are also expected to discuss the situation in Ukraine's neighbours Belarus and Moldova. Moldova is holding an early parliamentary election on 28 November in the hope that it will break an 18-month political deadlock, while Alyaksandr Lukashenka, Belarus's authoritarian leader, faces certain re-election on 19 December.